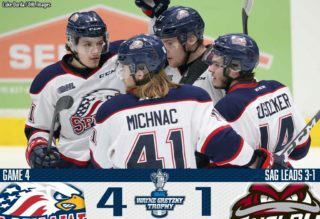 The Saginaw Spirit can score with the best of ’em, but if they don’t allow any goals, they’re in a pretty good place, too. 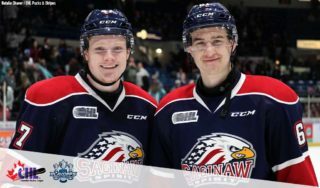 The Russian import is one of several players in their first season with the Spirit, but you may not find a one that’s been more impactful than the 6-foot-5, 175-pound goaltender in Saginaw’s run through the first two rounds of the playoffs. In the second season, Prosvetov has tallied a 2.59 goals-against average and .924 save percentage while putting together a 7-2 record. Early on in the season, Prosvetov went viral throughout the hockey world for his entertaining style and on-ice antics that brought fans to their feet. However, as he settled into the pace of the Ontario Hockey League, he’s become known for competitive fire, out-of-this-world athleticism and jaw dropping saves between the pipes. 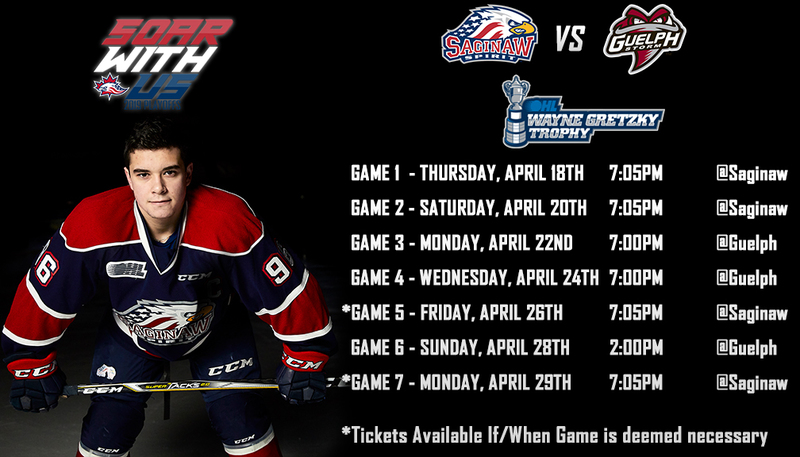 Despite a slow start to the year, Prosvetov ended the regular season with one of the best seasons for a goalie in Saginaw Spirit history. 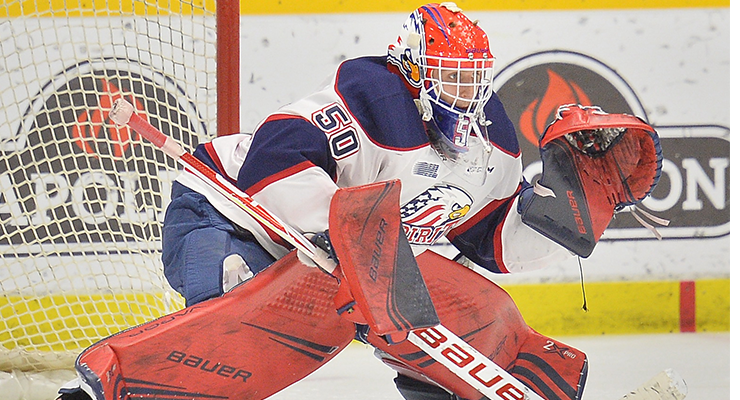 With a 2.94 goals-against average and .910 save percentage, the 19-year old put together an impressive 36-11-1 record helping lead the Spirit to just their second division title in franchise history. In the postseason, he’s been arguably the most clutch goalie in the league. He’s held the opposition to one goal with a .970-plus save percentage in four games already during the playoffs, and he’s recorded at least 34 saves in six of Saginaw playoff games with a high of 42 in a 10-1 Game 2 win over Sault Ste. Marie in the semifinals. In a 3-0 loss to the Greyhounds in Game 4, he was still ranked the game’s No. 3 star. The Spirit hold the top-ranked penalty kill unit in the league during the postseason denying the opposition on 30 of 31 opportunities, with Prosvetov between the pipes. The Greyhounds have outshot the Spirit in 4 of 5 games so far, but Saginaw leads the series 3-2 in part because of Prosvetov. The Soo was held to a goal apiece in the first two games before pouncing on Saginaw with three goals in the first nine minutes of Game 3. However, Prosvetov settled down and stymied the Greyhounds the rest of the way. 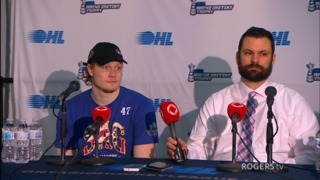 His best last year was backstopping the Youngstown Phantoms to the Clark Cup Finals, and he’s on the doorstep of helping lead Saginaw to the the Ontario Hockey League conference finals. “To win period, you have to have goaltending,” Lazary said. “If you don’t have great goaltending, or are making a lot of changes this time of the year, you’re probably not playing anymore.